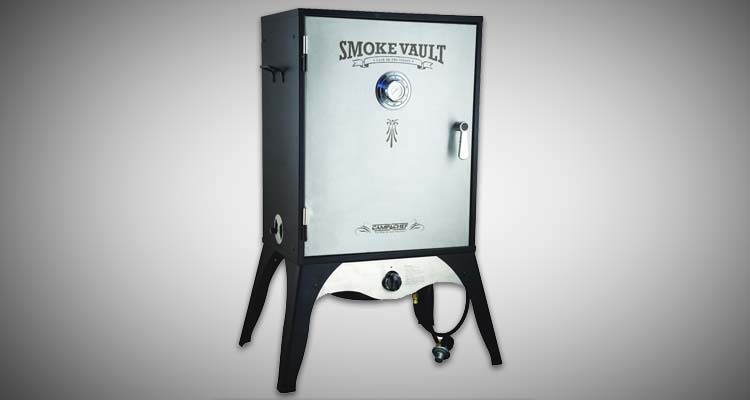 With an eye catching ‘bank safe’ design and low price point the Smoke Vault from Camp Chef is one of the most popular gas smokers on the market. The combination of affordability and simplicity to operate convinced us to name this the best all around pick in our guide to the best gas smokers. Especially if this is your first smoker and you don’t want to spend over a thousand dollars on something you might only use every once in awhile. 24-inch Model vs 18-inch – which size Smoke Vault is best? Should You Buy the Camp Chef Smoke Vault? Available in both 18-inch and 24-inch models, the Camp Chef Smoke Vault is a relatively inexpensive smoker which provides loads of value for its price. Capable of producing temperatures up to 400°, this smoker can accommodate everything from chicken, to ribs, to turkey, and more. This smoker is equipped with an ignition system that doesn’t require any matches, allowing you to get it up and running in the blink of an eye. Sporting a built-in thermometer, it reads temperatures in real time to give you absolute control over the smoking process. Packaged with a book of tips, ideas, and recipes, this cooker has everything needed to get the smoking novice off to a great start. Whether you purchase the 18-inch or 24-inch smoker, you’ll be getting a product that’s functional, consistent, and reliable. Very Easy to Operate – Because it’s equipped with features like a matchless ignition system, and adjustable dampers, this smoker is ridiculously easy to use and operate. Capable of a Huge Temperature Range – Capable of adjusting between 160 degrees fahrenheit and 400 degrees fahrenheit, this smoker can fulfill just about every smoking wish you desire. Holds Temperatures Well – After you’ve reached your desired temperature with this smoker, it maintains that temperature without any additional maneuvering. Use LP or stand alone gas – Being able to swap makes this a decent portable smoker to take on your camping trip, just make sure you get some help moving it. Don’t try and be a hero and blow your back out! 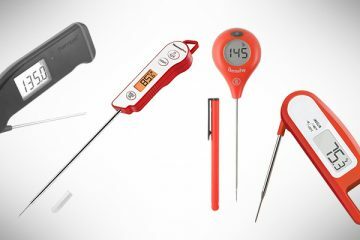 Built-in Thermometer is Inaccurate – Unfortunately, though it’s built-in thermometer is a nice idea, like most of these style thermometers it’s very inaccurate; as much as 50 degrees off at any given time. So do yourself a favor and invest in a decent dual probe thermometer. 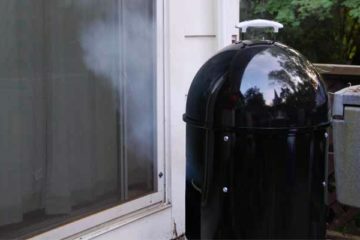 Doesn’t Thrive in Cold Weather – In warm temperatures, this smoker does a tremendous job. However, when it gets down below 40°, it struggles to maintain its temperatures. The number one concern for buying a smoker at this price point is the material used and the construction quality. With an exterior made out of heavy-duty steel, this smoker is designed to withstand quite a bit of wear and tear from the elements. Especially if you invest a cover. However, when it’s cold outside, its performance tends to suffer. This is because it lacks insulation and tends to let cold air seap in, causing temperature fluctuations. The Smoke Vault possesses three different damper valves, all of which can be adjusted until you get the exact temperature you’re searching for. One valve is located on the top of the smoker while the other two valves are located on its sides. This smoker’s wood chip tray is made out of heavy-duty steel. While this steel will suffice for a few years of consistent use, it starts to wear out after around 5 years. Of course, considering the price of the smoker, this isn’t too bad. It also comes containing a water try which can hold up to around 2 quarts of water at one time. 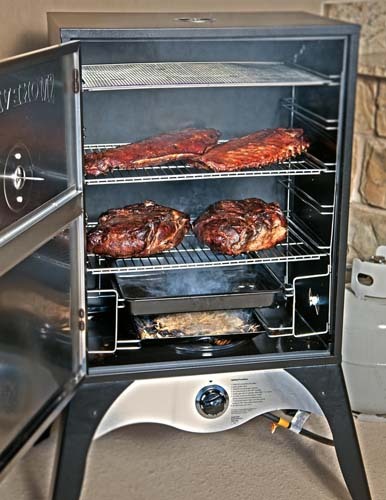 Equipped with two adjustable smoking racks and one jerky smoking rack, this smoker allows you to place foods at the exact levels you need for them to be cooked to your preferences. 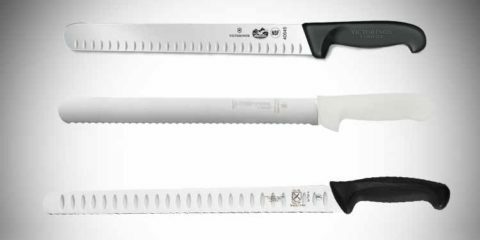 Overall, for its price, the Camp Chef possesses pretty decent construction and design quality. It’s certainly not a high-end smoker. But you’re not going to find anything with much better construction for the price. Now that we’ve covered the Camp Chef’s overall construction quality, let’s delve into its ease of use. In general, this smoker is very simple to operate. It takes very little time to ignite and get up to temp. 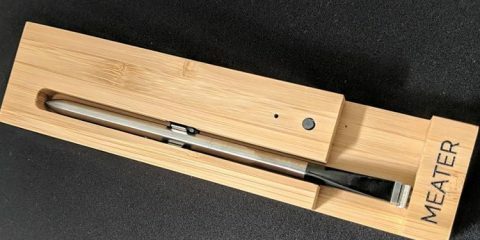 The unit comes with a decent instruction manual, which you can also view online which goes through assembly instructions, as well as all the basics like connecting the LP tank and setting up for your first cook. As far as assembly goes, this is a relatively simple smoker to put together. We would estimate that, on average, it takes around 30 minutes to assemble completely. At the max, it shouldn’t take any more than an hour. It comes with detailed instructions which tell you exactly how assembly should be done. 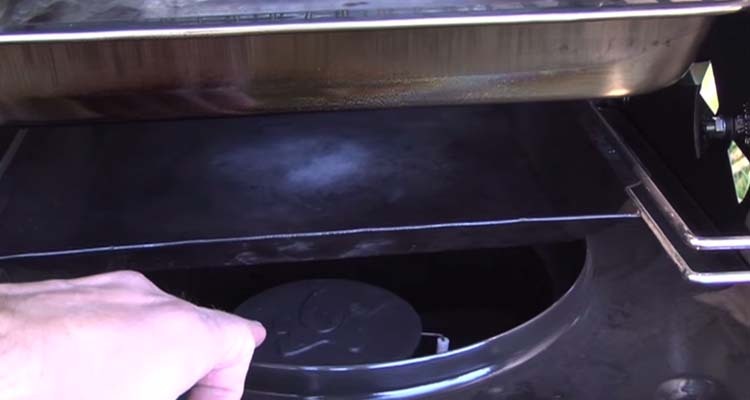 Equipped with a removable bottom tray, this smoker is very simple to clean and maintain. In addition to this bottom tray, the smoker is also furnished with a removable wood chip tray and removable water pan. Whenever residue starts to build up in the smoker, you can simply remove these implements, wash them, and put them back in clean as ever. In this video from the manufacturer you can get a really good idea of how both the 18″ and 24″ models operate. One problem you’ll run into is that, because it’s not well-insulated, wood chips diminish fairly quickly. This means that you’ll have to replace them a little more frequently while cooking. However, because the tray can be removed, this is not at all a difficult task. The same goes for the water pan. Both can be filled up with general ease. Overall, this is a fairly simple smoker to operate, especially for its price. Its temperatures can be adjusted easily simply by opening and closing its three damper valves. Because this is a popular entry level smoker, you can also find some great tips and advice on the internet. Now, let’s compare the 24-inch Smoke Vault and the 18-inch Smoke Vault. The main difference of course is given away by the name. If you’re only going to be cooking for a small group the 18″ model should be plenty. While you can save a few bucks and pick up an 18″ model, we’ve never regretted the extra space offered by the 24″. You can always waste a little bit of fuel by not filling the smoker up, but you can’t make more room on the 18″ model. The other main difference is that the 24-inch model comes equipped with a jerky rack while the 18-inch model does not. Other than those two things, these smokers are almost identical. Not only are they capable of producing the same smoking temperatures, but they possess nearly identical construction quality as well. Next, let’s compare the Camp Chef Smoke Vault 24-inch to a similar smoker: the Masterbuilt 30-inch Propane Smoker. While both smokers are capable of smoking quality meat, the Masterbuilt doesn’t quite live up to the quality of the Camp Chef. Though both smokers possess fairly solid smoking containers, the Masterbuilt is equipped with weak some-what flimsy legs. Another huge difference seen in this smokers is the temperature range. While the Camp Chef can produce temperatures between 160 and 400°F, the Masterbuilt can only produce temperatures between 100 and 275°F. The Masterbuilt is, however, bigger and less expensive than the Camp Chef. If you want better smoking quality, the Camp Chef wins. If you want more smoking space for less money, the Masterbuilt wins. While it’s not a high-end smoker by any means, the Camp Chef Smoke Vault is still a solid smoker. It best serves those who are just getting into the art of smoking meat. This is so not only because it’s affordable, but because it allows nuanced temperature and smoke alterations also. 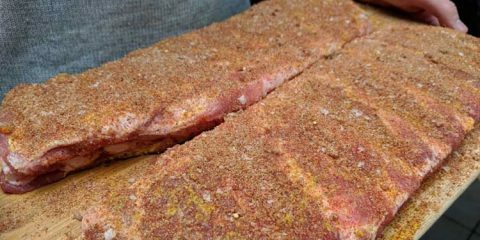 If you’re interested in smoking meat and would like to ease your way into the practice, this would be a terrific first smoker for you. Get the latest price from BBQGuys.com. Protect yourself from wind – Try and place your smoker where it won’t get too much wind. Especially around the bottom dampers where lots of wind can cause excessive temperature fluctuations.